In June of last year, I wrote a post here titled “Getting Real,” in which I described how I was going to be returning to school to study psychology. To follow up, it is now January 2015, and I still have not returned to school to study psychology. As much as I want to shift into my default gear and blame myself for this, I’m somehow strangely not doing that. Finances didn’t work out. Work situations changed. I actually found a better program than the one I was thinking of enrolling in. I would be lying if I said I wasn’t a little disappointed to not be attending classes yet, but it just wasn’t the right time. Shockingly, I’m totally at peace with saying that. As I mentioned in that previous post, however, it is much easier to be at peace with things before the reality of them sets in upon you. College, back then, sounded like a great idea … until I received an acceptance letter and began reviewing financial aid options. All of a sudden, the dream wasn’t idealized; it was real. Not that I wouldn’t have gone through with it, because this feels like a driving passion of mine now, but the journey wasn’t going to be anxiety-free. I was going to have to stare down some old demons. 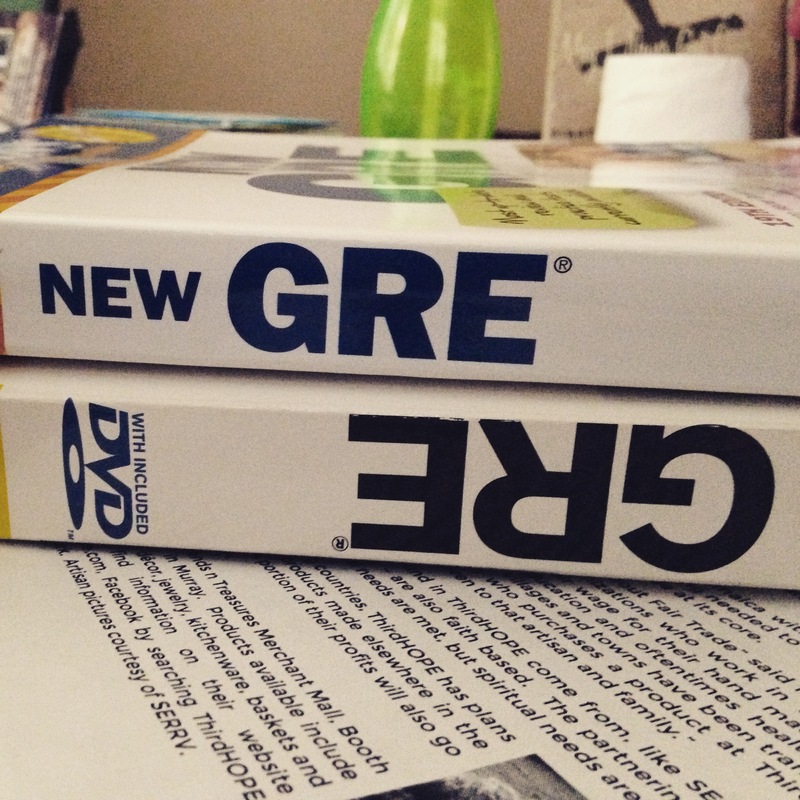 Thanks to a dear friend and co-worker, I was able to get my hands on some study materials for the GRE (Graduate Record Examinations) today. As I often foolishly do, instead of actually sitting down and examining the books from the beginning, I decided to randomly flip one of them open and see what was inside. Of course, I managed to open it right to a page dealing with some type of algebra. I nearly hyperventilated. Math is the enemy of the English major, which I was in college my first time around. Suddenly, passing this test didn’t seem as possible as it once did. The trick here, obviously, is to slow down, read through the books in some type of order, re-learn how to study (since I haven’t had to do that for anything in a long, long time), and stop envisioning failure. All of this is just another reminder to me that nothing in life – be it overcoming depression or earning a degree or just getting out of bed in the morning – comes without some effort. As silly as it may sound, I didn’t always know that. Or, at least, I didn’t always want to know that. Part of me hoped there was some pill I could take or some switch that would suddenly flip on. I’m at least somewhat wiser now. Since opening that book this afternoon, I haven’t opened it since. I have to let the initial shock wear off before I can pick it up again. I am back again, though. This feels almost like it did in June. Thanks! I’ll be sure to look up that site!